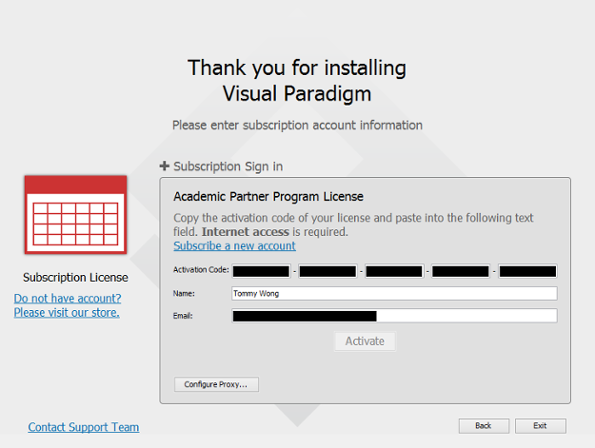 If you hold an academic license, please follow the steps below to activate Visual Paradigm. Visit the Academic Partner Portal in a web browser and copy the activation code from there. If you are a student and do not know the URL of the portal, please contact your teacher. 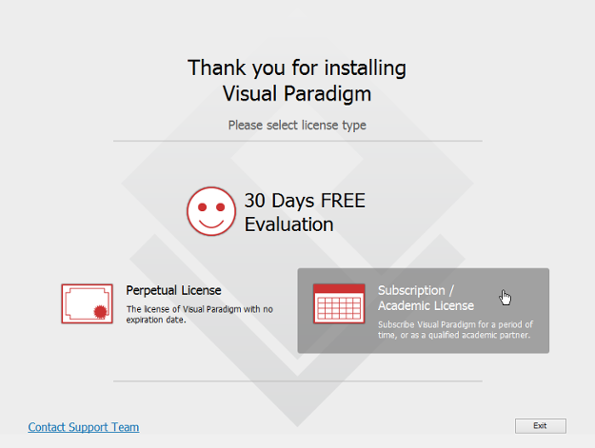 Install and start Visual Paradigm. When you see the following screen, select Subscription/Academic License. Expand Academic Partner Program License. Paste the activation code there. Click Activate. You are promted for activation code. Check your email for the verification code.